Happy Monday! I hope you had a great Easter weekend with family and friends. Kevin and I were busy moving into our house! It is so exciting but we are both exhausted after lots of unpacking and organizing over the weekend. We have a lot of furniture shopping to do, but I will post some pictures of the inside of the house once we start to furnish our place and decorate. We are already looking forward to some family and friends visiting in the upcoming months! I wanted to share the nutrition tracking I have been doing through MyFitnessPal with some of you who have asked me about it. I have been tracking using the app for a over a year now. Recently, I have been strictly counting my marcos (carbs, protein and fat) and working to hit my goal percentages for each macronutrient. Some of you may of heard of tracking macros as it’s popular in the fitness and nutrition industry. Although macros are important, the biggest thing is hitting the number of calories recommended for your current weight and future weight goals. Obviously I’m not trying to lose weight but I’m working on building lean muscle to better achieve my fitness goals. 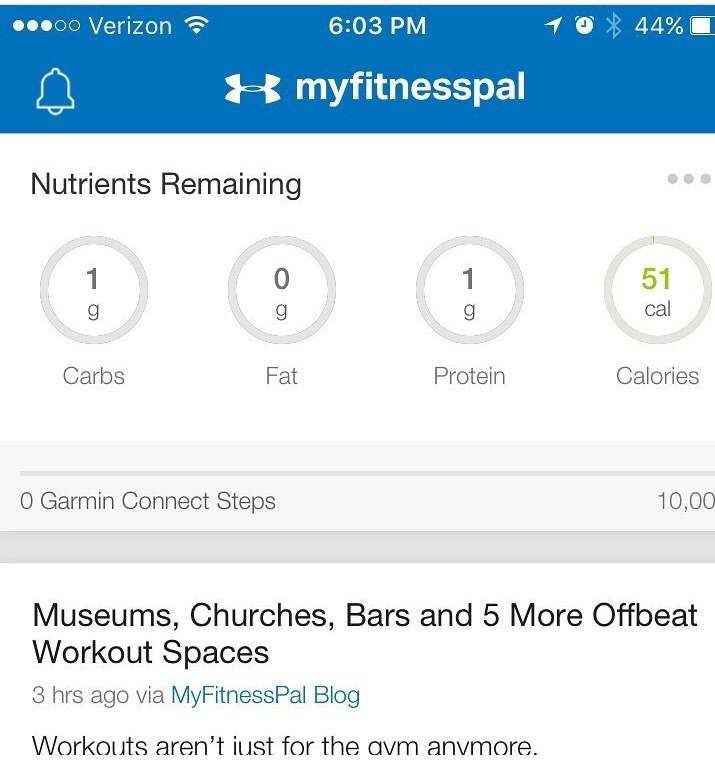 MyFitnessPal makes it very easy to input your food and the app has many popular brands and restaurants to make it pretty accurate to what you are actually eating. The app calculates your recommended calories and carb, protein, and fat daily percentages for you and shows you how you are trending to those goals each day. The key is constantly tracking so that you have good data for the app to analyze. The best part of a diet centered on macros and calorie intake is you can really eat what you want as long as it fits within your goals for the day. Now, it’s still important to make wise choice for your long term health, but I have enjoyed some of my favorite splurge foods (pizza, ice cream, burgers) while tracking macros and I have still been able to reach my goals without feeling one bit guilty! I do eat “healthy” the majority of the time, but I think the 80/20 rule for healthy versus less healthy options definitely holds true. 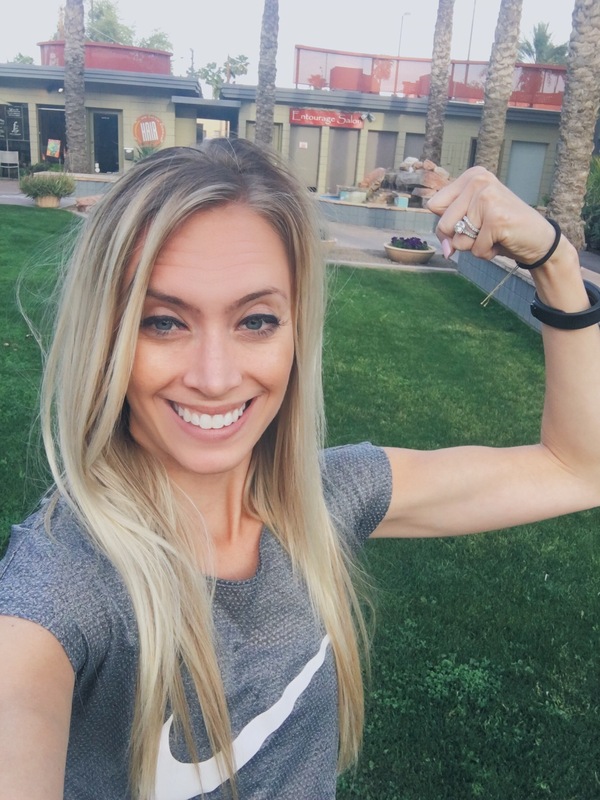 I have seen some good improvement in my energy levels and my body with the tracking I have been doing, and I am always pushing towards my next goal in my fitness and nutrition journey!